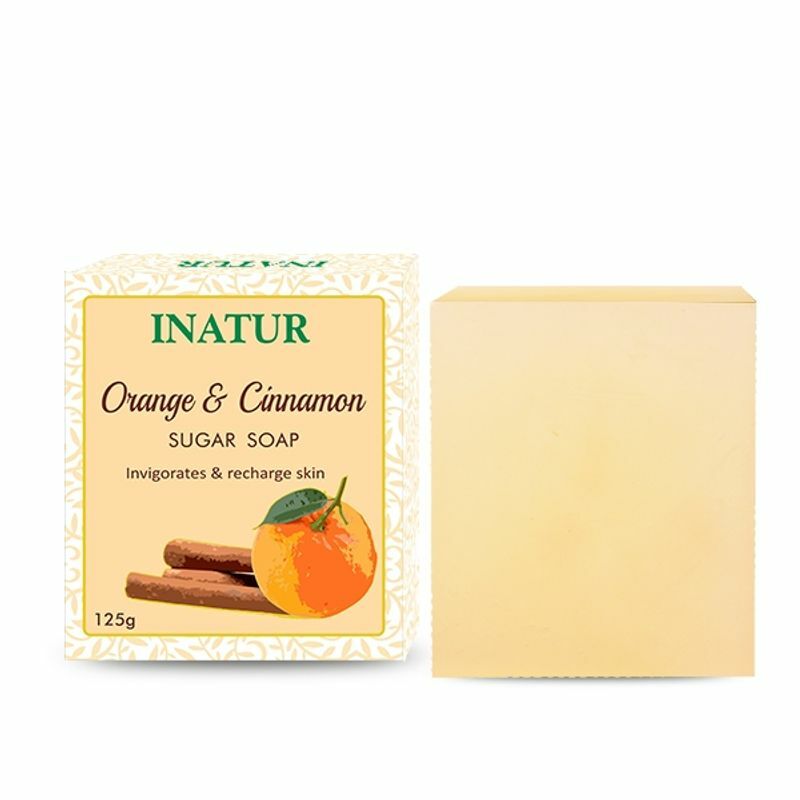 Inatur Herbals Orange & Cinnamon Soap is an invigorating handmade bathing bar that has a citrus and spicy note that helps to energize the skin while gently cleansing it. It is prepared in a traditional manner. Sugar and Glycerin are added as base to it to help retain and replenish the moisture in the skin. It contains essential oils and is especially recommended for oily and normal skin.